Abstract: This thesis examines the post-Roman and Anglo-Saxon religious reuse of Roman structures in an attempt to establish a framework around which the study of sites involving the coincidence of Roman buildings and early-medieval religious activity may be pursued. In particular, the study examines burials associated with Roman structures, and churches on or near Roman buildings, to demonstrate that the physical remains of Roman structures had a significant impact on the religious landscape of Anglo-Saxon England despite the apparent discontinuity between many Roman and early-medieval landscapes. The thesis introduces a great number of sites that are otherwise obscure, and re-examines the subject based on an expanded corpus of evidence. It attempts to embrace and re-assess the corpus of sites showing the Anglo-Saxon religious reuse of Roman buildings as a whole, rather than reinforce traditional interpretations through a comparative study of the new material against the traditional canon. For this reason, those sites which have tended to feature prominently in discussions of continuity and/or the religious reuse of Roman structures – such as Rivenhall, Winchester, and Barton Court Farm – are accorded an equiparant place within the study, rather than being held as the standard against which other sites of this nature must be measured. The study embraces the reuse of all types of Roman structure, such as villas, mausolea, towns and forts, but concentrates primarily on the evidence that exists in the countryside, outside urban Roman Britain. It is not the aim of this thesis to reassess exclusively the earliest reuse of Roman towns, but rather examine towns within the context of the study as a whole. The study first examines the non-archaeological evidence for the existence of Roman structures in AngloSaxon England. Place-name elements including ceastre, stān, and hwit demonstrate the Anglo-Saxon awareness of their Roman physical heritage. The relationship of The Ruin to the site at Bath is closely examined, and the use of enta geweorc (‘the work of giants’), an Anglo-Saxon phrase commonly used to convey antiquity and describe Roman remains, is discussed. Archaeological parallels in Gaul and Rome are explored, and written accounts, particularly the writings of Sidonius Apollinaris and Constantius of Lyons’ The Life of St Germanus of Auxerre, are studied to present a complete framework into which the evidence in the subsequent chapters is placed. The study shows that the practice of interring the dead into Roman structures occurred between the fifth and eighth centuries, but peaked at the beginning of the seventh, with comparatively few sites at the extreme end of the date range. The discussion is based on the evidence of 116 sites associated with Roman structures, but it is very apparent that this number is only a fragment of the whole because many inhumations are often mistakenly identified as Roman, even when the stratigraphy demonstrates that burial occurred after the ruin of the villa, as is often the case. The placement of the bodies shows a conscious reuse of the ruinous architecture, rather than suggesting interment was made haphazardly on the site: frequently the body is placed either centrally within a room, or is in contact with some part of the Roman fabric. Some examples suggest that there may have been a preference for apsidal rooms for this purpose. 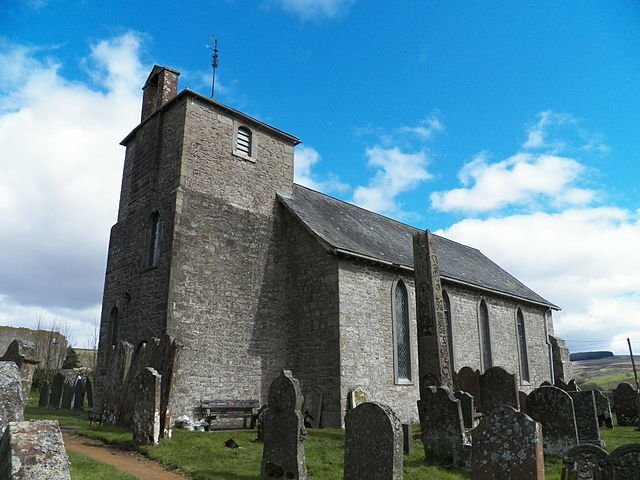 The examination of churches associated with Roman buildings reveals that Roman structures were chosen for the sites of churches from the earliest Christian period into the tenth century, and probably even later. There is no indication that specifically high-status churches reused Roman buildings, as the status of those within the corpus varies widely from small chapels to royal minsters. Several models are suggested for the origin and development of these sites, including a refinement of the so-called ‘proprietary model’. Placing the data into a wider landscape context introduces potential avenues of further exploration of the subject using GIS (Geographic Information Systems). All types of Roman buildings were used as the site of churches, although there appears to be a tendency not to reuse Roman temples. The study concludes that there are a number of diverse causes underlying the religious reuse of Roman buildings, each not necessarily exclusive of the other, and that the study of these sites can further any investigation into the development of the ecclesiastical topography of England, and the eventual development of the parochial landscape.